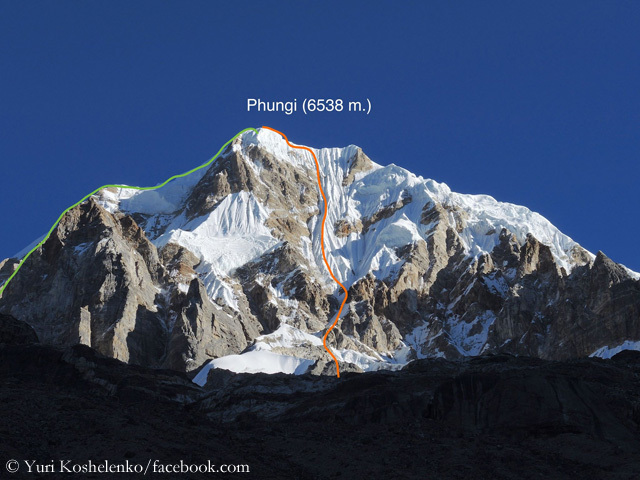 According to Yury, they entered the wall with ice passages of 60 to 80 degrees in good weather on 26 October. 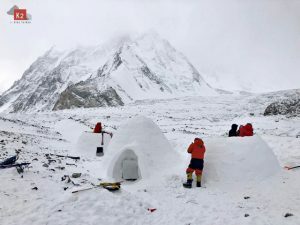 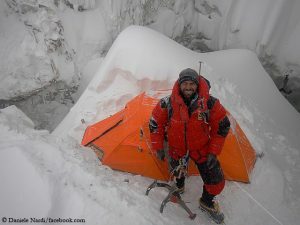 After the second bivouac, five pitches below the summit ridge, the weather deteriorated rapidly. 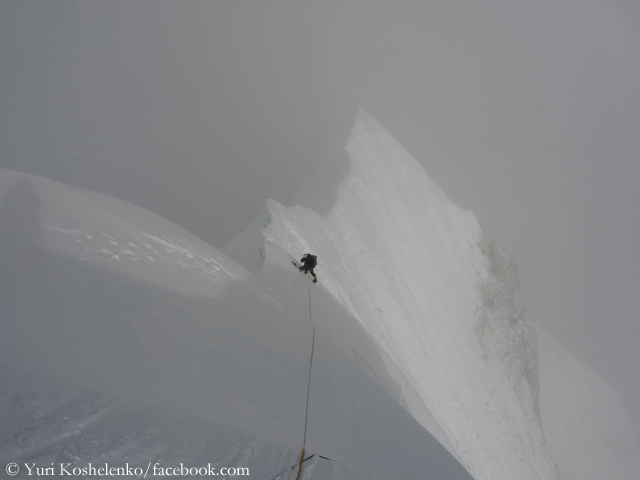 It became very cold and windy, Koshelenko reports. 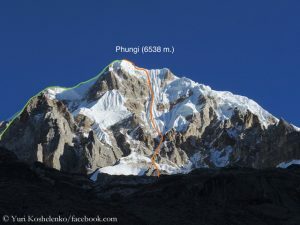 Over the sharp, corniced firn ridge the duo worked their way to the summit, which they reached on 28 October at 4:30 pm. 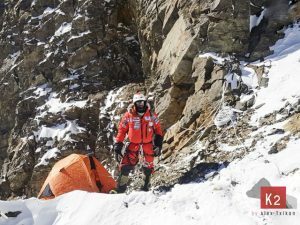 The descent through an icefall in bad weather was sometimes tricky, reports Yury. 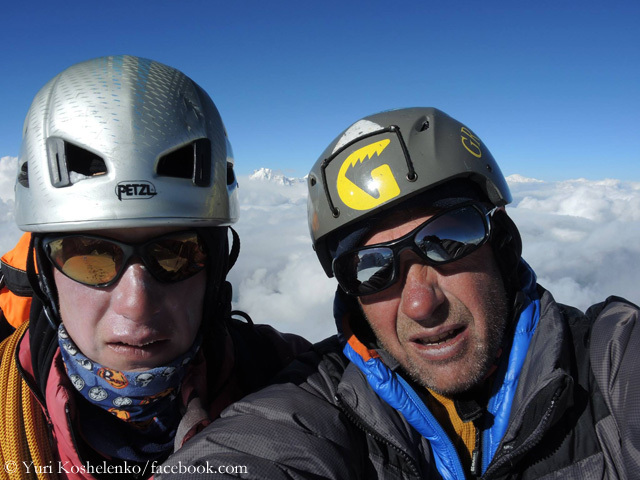 Koshelenko and Lonchinskii belong to the elite of Russian climbers. Both were already awarded the Piolet d’Or, the “Oscar of the climbers”: Koshelenko in 2003 for his first ascent of 7,804-meter-high Nuptse East via the Southeast Pillar (with Valerij Babanov), Lonchinskii for the first ascent of the Southwest Face of the 6,623-meter-high Thamserku (with Alexander Gukov).